TF Generations is one of my favorite line of transformers toys. 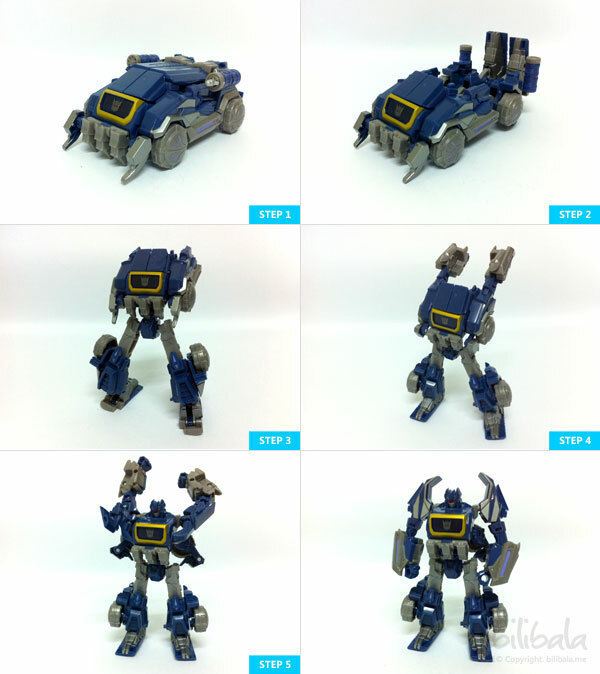 Being the fact that their transformation is quite unique and some of their vehicle are in cool cybertronian form, especially Soundwave which i am going to talk about it today. 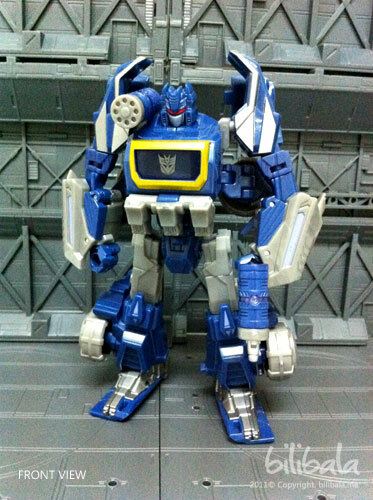 When speaking about Soundwave, those TF fans might always relate him to the old cassette player together with some of his minions cassette like ravage, etc. 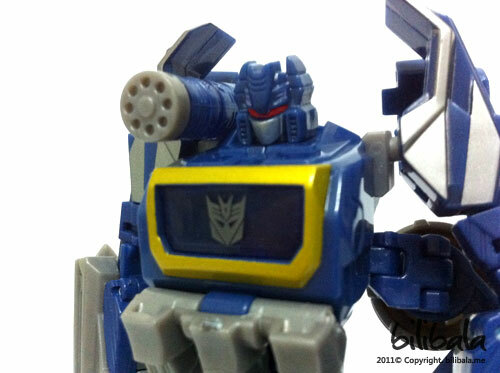 Well, in the case of TF Generations toy line, this Soundwave is no more a cassette player or even mp3 player. It comes in a sort of Cybertronian “Mine Sweeping” truck with bulldozer alike front facelift. 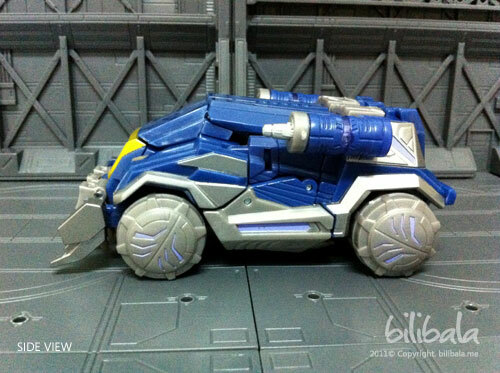 If you have played the Transformers:War of Cybertron game, you will be no stranger of this truck as it is a physical model of the same thing from the game. Intrigued? Read on! 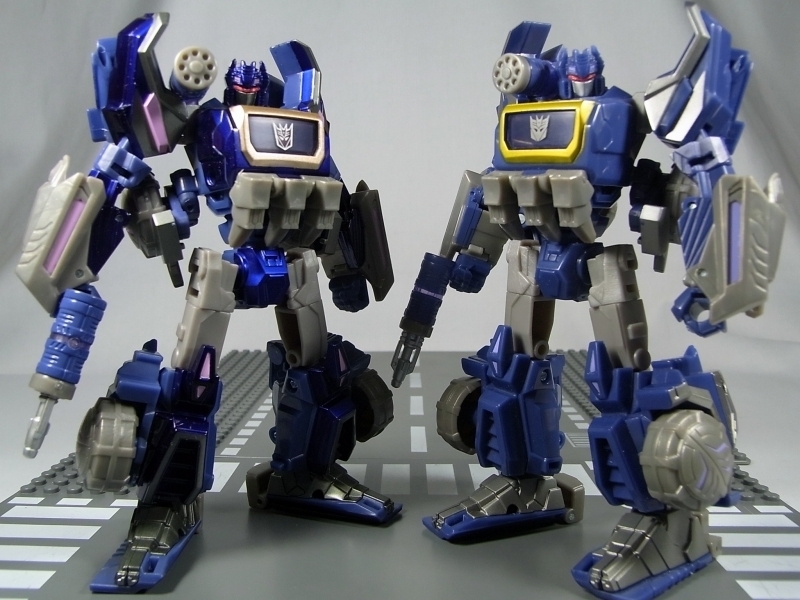 There are actually 2 version of Soundwave being TF Generations (Hasbro) which has been released a while ago and the other is being newly released under Takara Tomy which is the Transformer United Line. I don’t have the United line of Soundwave anyhow but judging from the box in the toy shop, it does have more vibrant color (more metallic) as compared to hasbro version. And of course, the price is more expensive than the Hasbro. You can see below for the color differences. You can see more differences here between the TF Generations and the TF united. 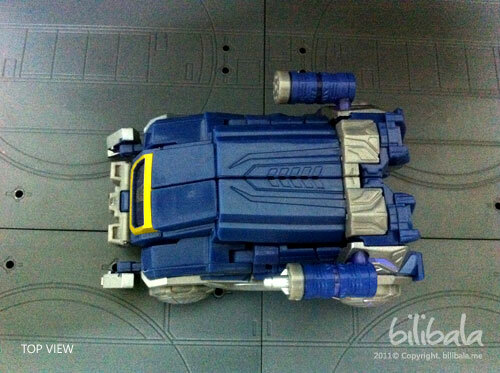 Anyhow, what i am going to show you all here is Hasbro version. 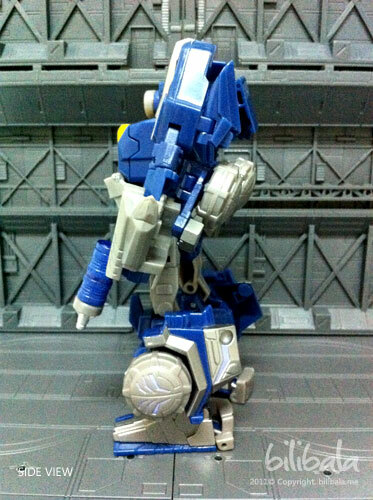 What i think of the Hasbro Soundwave is, again, the joints are a bit loose. Luckily the coloring wasn’t as bad (put the metallic color aside for now) as previous Hasbro toys. I might say they are improving over their toys. 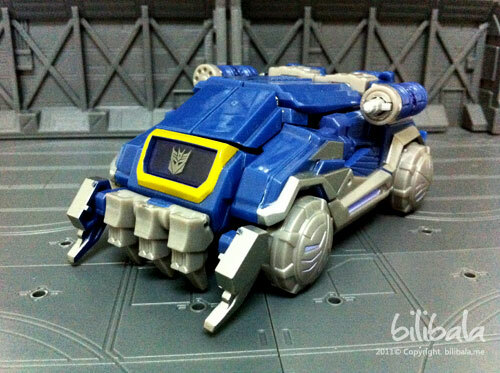 I dont know how to make of the name, but i feel that “Mine-sweeping” is suitable for the alt mode for soundwave. Reason being, it has some kind of bulldozer “fork” in front of the vehicle which really gives me the impression of those mine-sweeping tank. 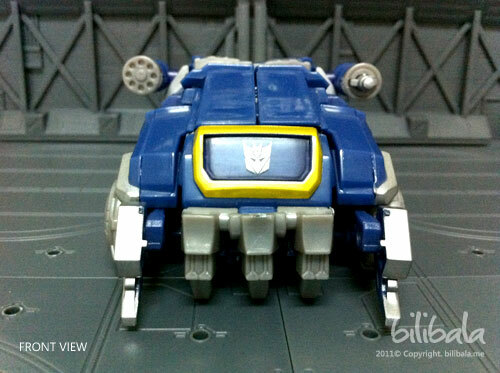 And dont you expect the tank to play music or come out little midgets like the old soundwave does. He is really an armoured tank this time. You can see clearly the bulldozer like for front vehicle and there’s a cassette deck-like opening (the yellow part with the Decepticon Insignia) which is actually the weapon storage for the 2 detachable cannon. 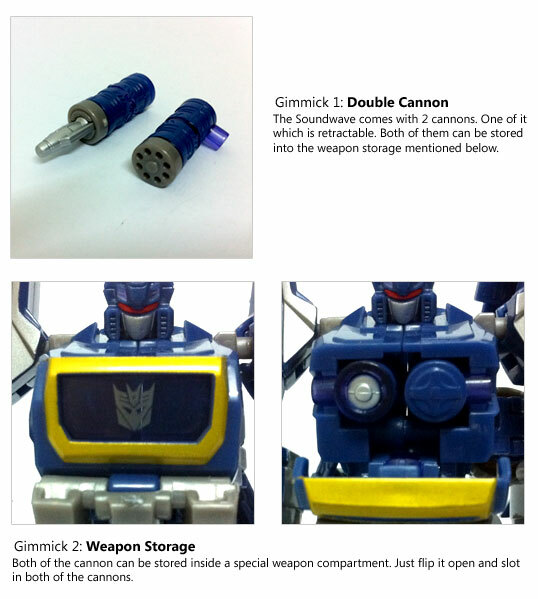 Will touch more on the weapon storage and cannon at the gimmicks section below later. The robot form is as cool as the alt mode. It poses quite confidently and sturdily and the articulation is quite standard where you can do quite an amount of poses. 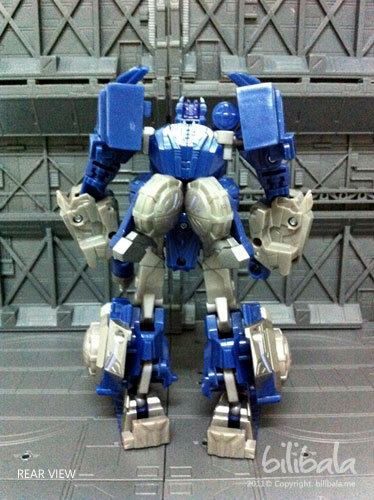 Just a downside of having the Hasbro version, the joint for the legs are quite loose. Here in the robot form you can actually attach one of the cannon to the shoulder part (as seen in the picture below) and the other one can be used as a hand cannon or vice versa. 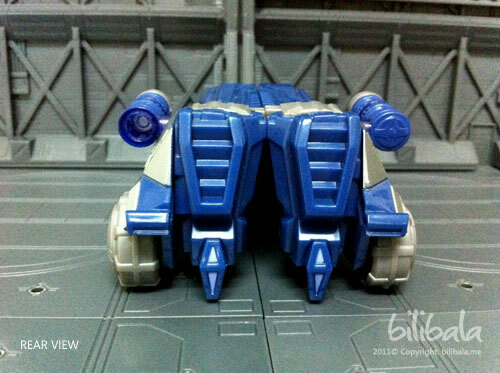 You can notice to the head part of the robot there’s the light piping mechanism. But frankly speaking, this light piping didn’t really light up the red eye of the robot, i wonder why they put it there.. hmmm… decorations perhaps. The transformation is intermediate. But once you transform it once, it will be relatively simple and straightforward. Nothing much special about it anyhow. This is quite a unique collection especially in robot form where you can pose him nicely with a confident pose and the weapon storage it offers. What’s more, I really like the cybertronian vehicle mode as it has this futuristic appearance which you wont get to see everyday. 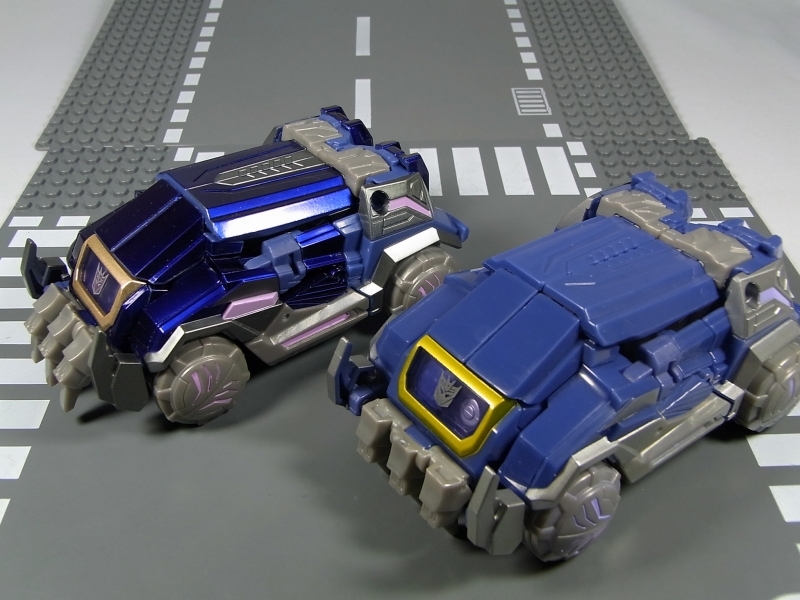 If you are really interested in getting one and budget is not an object, i will strongly advise you to get the United (Takara Tomy) version instead as you can see the coloring is much more nicer as compared.